Please CALL US TODAY for a free consultation and quote call 850-588-1170 to set up your appointment and to answer any questions. Custom secured wireless and cabled network solutions for the executive home to large businesses. Perimeter and internal security and video/sound recording systems. Complete data back-up and data vault security packages. Servers for all of your needs – Data, Video/Photo, Gaming, etc. Comprehensive Warranty and Maintenance Support Packages for everything we sell. Remote and on-site repair services. Automatic equipment refresh when you order your hardware from us. Consultation for developing comprehensive Network Security Policy and Procedures. Complete Network Security Policy and Procedures manuals customized for your company. Corporate training on network security and data protection procedures. Corporate training on hacking attacks and prevention. If we install it, we fix it! Select a monthly home maintenance plan that covers all repair labor and parts for worry-free network operations. Select a monthly business maintenance plan that covers all repair labor and parts based on the number of computers and servers in your network. If we provided your computers you can also opt for an automatic technology refresh plan that replaces your computers at appropriate refresh times to ensure your employees remain competitive. 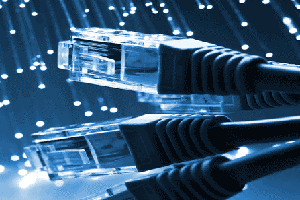 For network components not installed by our professionals we can come to you for a flat hourly rate, plus parts.